The cruel Merdrun, the greatest warriors in the void, have invaded Santhenar but their portal failed, leaving them stranded. They’re desperately trying to regain contact with the summon stone so they can reopen the portal and begin the slaughter of humanity. Llian, hurled through another portal, sees the summon stone wake and knows the allies have but one chance to destroy the Merdrun – though it will involve an alchemical quest that has always ended in ruin, a mad invasion in untested sky ships with untrained pilots and the most unequal battle in all the Histories. Ian Irvine lives in the mountains of NSW, Australia. He has been writing epic fantasy novels for over a decade and is the author of classic series the View from the Mirror, the Well of Echoes, the Song of the Tears and the Tainted Realm. 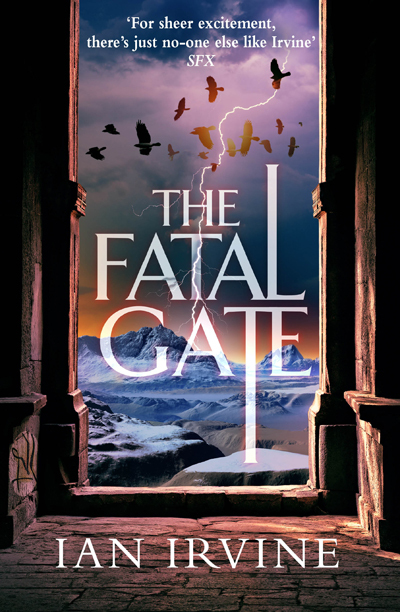 His latest novels, The Summon Stone and The Fatal Gate, are a return to the world of the View From the Mirror.